Remove Steak from fridge and have at room temperature before preparing. Grill Steak on grill outside at 350-400 degrees, or inside on grill pan at medium-high heat. Cook Steak for 2-3 minutes on each side, lightly sprinkling with Salt & Pepper on each side while cooking. Remove Steak from Grill outside or Grill Pan inside, and let rest for 1 minute. Then cut into ¼ inch Bite Size squares. 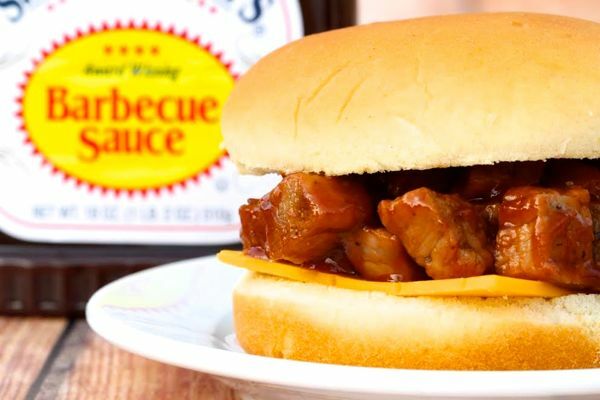 Lightly warm Barbecue Sauce in sauce pan or in microwave. Combine Steak Bites and Barbecue Sauce in medium bowl. Serve your Steak Bites with a side of Mashed Potatoes, or on a Bun topped with Sharp Cheddar Cheese and Mayo or Ranch.